I had to stop for a picture when I saw this car in Titirangi. Plymouth Roadrunner. 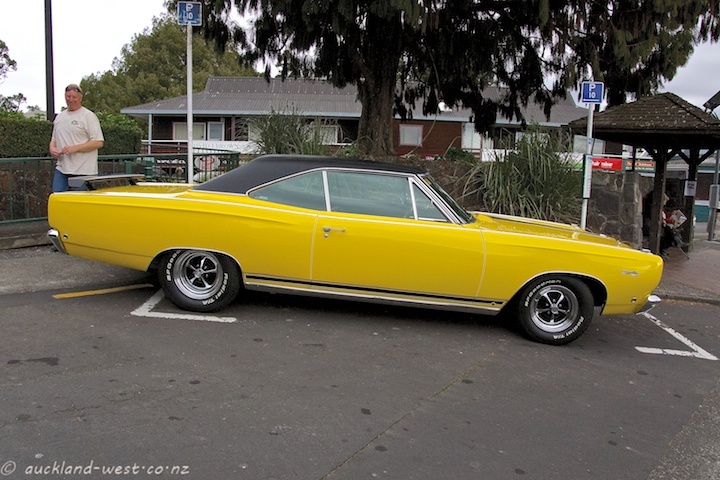 Let me guess….. 1968, 440 cu in engine. Bloody hell – that’s 7 litres and a bit…! 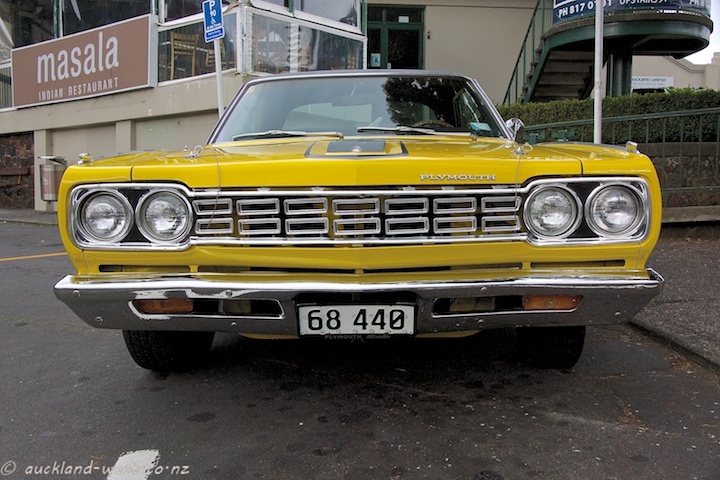 I remember when we visited NZ in the early 1970s all of the cars seemed very old. This one would have been a young thing at the time. Hi Paul, I would have done the same: stop and take a picture!